My first run-in with Cool Haus was on a breezy June evening outside the Echoplex. The cats from VendrTV were shooting a webisode and invited The Astronomer and me to come by and say hello. 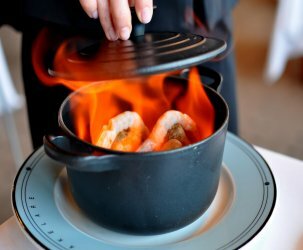 Since we had just finished a dreamy multi-course tasting at Providence, we weren’t exactly in the mood for ice cream sandwiches—not even ones designed and imagined by architects. Instead, we chatted it up with Natasha Case and Freya Estreller to learn more about the quirky wonder that is Cool Haus. Cool Haus is the first project under Natasha and Freya’s company that explores the intersection between food and architecture. After purchasing and revamping an old mail truck found on Craigslist, the gals launched Cool Haus at the Coachella festival. Since then, Natasha and Freya have been traveling around our fair city bringing ice cream sandwiches to the masses. I caught up with the awesomely aluminum Cool Haus truck in Venice a few weekends back, along with The Astronomer, his sis, and our friend Laurie. A couple things have changed since we last met. 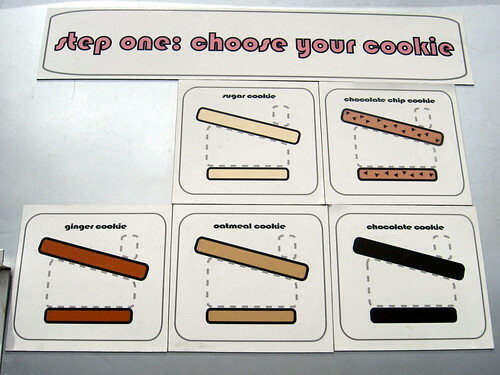 Most notably, all of Cool Haus’ ice creams and cookies are now being outsourced—Milk takes care of the ice creams, while a vendor for Trader Joe’s bakes the cookies. Both producers use recipes developed by Cool Haus. 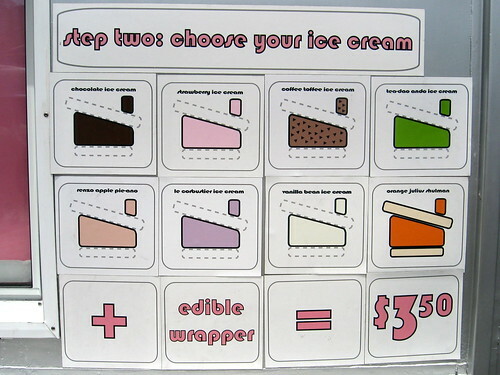 Also, edible wrappers are no longer optional and are included with every ice cream sandwich. For my first-ever Cool Haus creation, I chose a sugar cookie roof and a chocolate cookie floorboard. My ice cream sandwich arrived in an edible, potato-based wrapper. 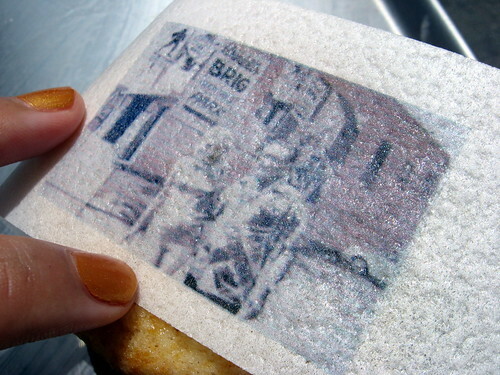 Art Mortimer’s mural that appears on the side of The Brig was printed on it in edible ink. Considering the Cool Haus truck was parked on The Brig’s lot, I found the artwork very appropriate. 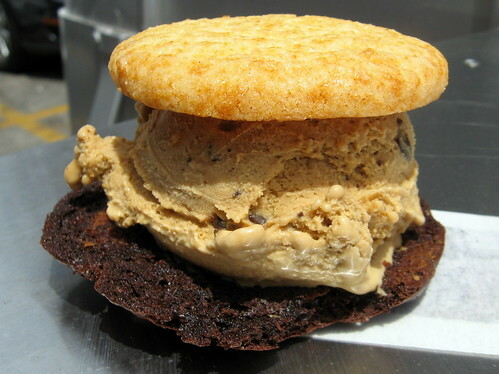 A palatable ice cream sandwich is dependent upon two factors, the texture of the cookie and the quality of the ice cream. On both fronts, Cool Haus came through like a champ. The cookies were firm and not overly crunchy, while the ice cream brought the bulk of the flavor. On a hot summer day, Cool Haus is just what I want. A piece of advice—to avoid soiling your threads, hold the sandwich far from your person and bite with caution. If things get messy, hand sanitizer is always available on the back of the Cool Haus truck. 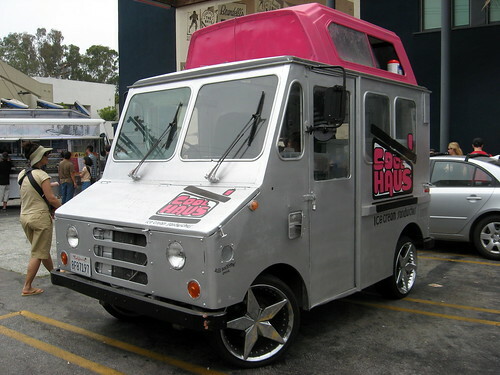 Follow Cool Haus on Twitter @COOLHAUS. I love it! The truck is cool, love the concept and the ice-cream sandwich itself looks so delicious (wish it could jump out of computer screen right now, I’m hungry!). aweeome rims. cool tawny nailpolish you’re sporting there too. i’m curious to check this ice cream out. love the edible wrapper idea. I wasn’t at all hungry the last time I saw the truck in the Arts District, but now I sort of regret not trying anyway. Note to self: hold ice cream far from person. Check! Looks like everything you love about homemade except you don’t have to home-make it. Plus there’s the funk factor. cool haus is pretty tasty, except for the high price. but i guess these days $3.50 isn’t bad for dessert. I didn’t know you could get two different cookies! Wait a second… that’s a link to my dirty skirt!!! Thanks, dudette! 🙂 I’ll remember your tip for the next time. Interesting about Milk making the ice cream. I hope they roll out the banana dulce de leche flavor! That would be insanely delicious with the ginger cookies. Or sugar cookies. Or half ginger/half sugar. It aaaaall works. Jax – It’s been forever since I’ve step foot in Westwood, but if I remember correctly, CH and DR taste more or less the same. However, Milk makes better ice cream than Dreyers. DR gets mad points for being so cheap, while CH scores on the trendy scale. ooh that looks very decadent, I like the architectural terms, floor board and roof! I don’t quite get the concept of the edible wrapper. Does it taste good? Is it really just compostable? foodhoe – I gotta admit the edible wrapper was kinda scary at first, but it ended up tasting like a whole lot of nothin’. Dissolves in your mouth, along with the sweet goodness. ahhh, i live in LA, closer to Santa Monica/Malibu area, and i was just thinking about how I havnt seen an ice cream truck in AGES! Hopefully one day this truck will be near me, looks absolutely amazing! such an awesome idea…like a portable Diddy Reise! yeah thanks for that bit on the secret passwords..but do i really want to follow them on twitter? Bummer, looks like they got rid of the peanut butter ice cream. How neat are these wrappers? Did the edible wrapper actually taste good? Or did it taste like nothing at all? I’ve been following coolhaus but have thus far failed to catch them in the act. gourmetpigs – I’ve been told that the wrappers taste a bit like communion wafers. I think it tastes like nothing at all. Cool Haus is definitely worth checking out when you’re in the mood for a cooling treat. Whatever. You and your hipsters with your retrofitted trucks. Kem Trai Dua and Turtle Pond still reins supreme!!!!!!!!!! Btw, I’ve done a tour of perhaps 5 of our shared eating experiences, introducing others to their glory, and they’re all luckily still there (the lunch lady included) and as tasty as ever. 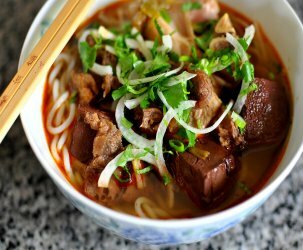 Hawk – You know I’d take Saigon over LA hipster food any day. Kem trai dua makes me swooooooon! Pingback: The Vine Speaks » Blog Archive » It’s architecture! It’s ice cream! 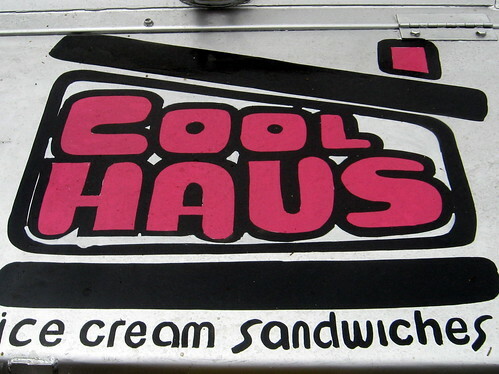 I paid a visit to the Cool Haus truck last Friday when it was at the Disney Concert Hall. 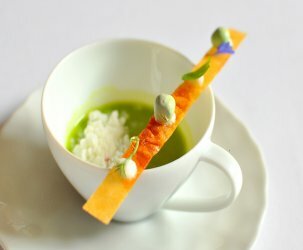 It was a great experience and it was nice reading your review about it. I didn’t know the ice cream came from MILK in Beverly hills. Nice fun fact!